Our holiday to-do lists are long - shopping, party planning, baking, cooking and preparing the house for guests. While some things must be done last-minute out of necessity, we can avoid a holiday meltdown by taking shopping off the list as early as possible. The added bonus of shopping early is that you can take advantage of special holiday promotions and exclusive holiday gifts. With convenience (and Shoppers Optimum Points!) in mind, I like to pick up gifts while buying my household necessities at Shoppers Drug Mart. Shoppers Drug Mart has gifts for everyone on your list and, with more than 1,100 stores in Canada, you're sure to have a location nearby. In fact, I can easily walk to Shoppers Drug Mart from my house. And if I do drive (all the better to load up on packages), Shoppers has lots of free parking. So much better than battling the dreaded mall parking lot! The first person I always think of when browsing for gifts at Shoppers Drug Mart is my sister. All of the colourful, girly cosmetics gift sets remind me of my lively, fun sister. This set of OH MY GOSH nail lacquers in five festive colours is perfect for her. And GOSH nail lacquer is manufactured without the use of toluene and formaldehyde so it's safe for all members of the family. My daughter would love these too! Men can be challenging to shop for, but we all know that they are in love with technology. 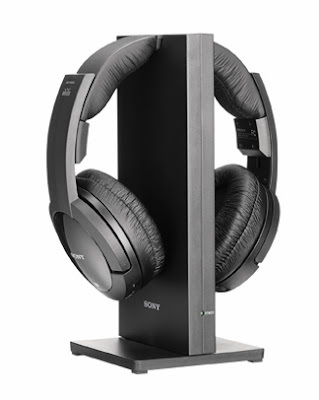 These Sony Wireless Headphones with charging station would put a smile on my husband's face this holiday season. They're great for listening to music or watching TV without disturbing other family members. 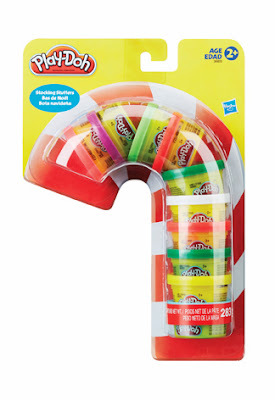 And Shoppers has lots for the kiddies too, like this festive set of Play-Doh in a candy cane-shaped package. Of course, they have candy too - lots and lots of stocking stuffers to please the kids...and me! From cosmetics to food to seasonal aisles, the stores are easy to navigate so you can get your shopping done quickly. Unless you like to browse and read labels for hours like me. If you like to shop in peace and quiet, remember that your Shoppers Drug Mart store is open late. Take advantage of exciting in-store sales and promotions while shopping in quieter, off-peak hours. Shoppers Optimum Rewards Program = Free Products! If you aren't already a member of the Shoppers Optimum Rewards Program, I urge you to sign up. I have received hundreds of dollars worth of free products using the points I earned by shopping on regular days as well as during "20x the points" events. Almost every purchase earns you points. And there are special offers and events for members too. Look out for Shoppers Drug Mart Gift Guides and Beauty Books throughout November and December. 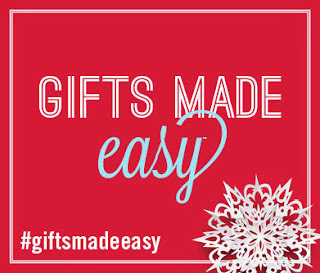 You'll find plenty of ideas for everyone on your list, with fragrances, yummy treats, electronics and the latest toys. Look for the "Give Beauty" book, out now, with lots of exclusive gift sets you can only find at Shoppers Drug Mart. Be sure to make a wish list for yourself too! Visit shoppersdrugmart.ca/holiday until December 22nd to explore the holiday catalogues, find unique gift ideas and search the store locator. Select beauty products will have a free gift with purchase. So visit your local Shoppers Drug Mart while quantities last. Shoppers Drug Mart is launching a Facebook contest for the holidays on December 2nd. Visit Shoppers Drug Mart on Facebook for your opportunity to win! The contest will centre on a fun Advent calendar that reveals a new product each day. There will be multiple prizes over the course of 12 days. Wouldn't it be nice to cross a special item off your shopping list by winning it? 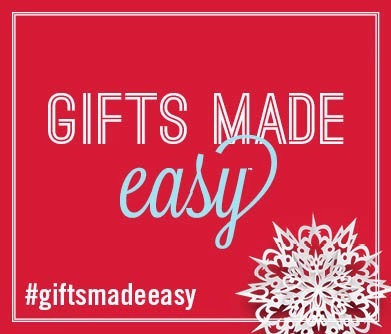 Join the conversation on Twitter for holiday gift ideas at #giftsmadeeasy. Tell me, what's on your wish list this holiday season? *This is a sponsored post. All opinions expressed are my own. Thank you for supporting the awesome companies that partner with Woman in Real Life! I love the Mascara and Fragrance samplers with the product samples and the free coupon to choose your favorite. Those are on my list this year! My kids will never tire of Playdoh, such a great gift for any kid on the list. I could spend an hour at Shopper's and have many fond memories there! Great gift ideas! Looks like I'll make a list and visit Shoppers Drug Mart the next senior's day. I will try to remind you Jill. :) I will be going to Shoppers soon as I have lots of points to spend! !